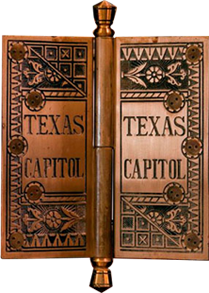 Find unique gifts that celebrate the Texas State Capitol and it's history. One of a kind jewelry boxes and sculptures hand crafted from trees that have fallen on the Capitol grounds and carry a special piece of Texas history. Through our Art of Texas program we offer customizable archival quality prints of artwork displayed in the Capitol and maps from the General Land Office. Just select the size, medium (canvas or paper) and whether or not you'd like a frame and the piece will be delivered in two weeks to your door. Explore our Texas State Seal collection and Executive Gifts to find high quality business or conference gifts.